Hand towels are useful to have around in the kitchen and bathroom of your home or office. 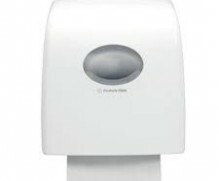 We supply a wide variety of paper hand towels and dispensers from the country’s leadings brands, including Eleni and Kleenex. 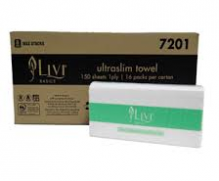 The hand towels we provide are available in bulk pack and regular sized quantities depending on your requirements. Each hand towel is uniquely placed and packed to provide for either inter-fold or individual action. A hand towel holder allows for a user-friendly operation. Depending on the function, a dispenser distributes single sheets of paper at a time, thereby limiting wastage. 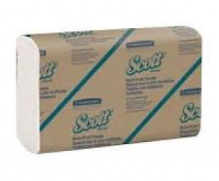 It also addresses hygiene concerns – when sheets are dispenses this way, as opposed to having a stack presented for general use, you only touch the one you use. 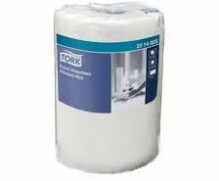 Regardless of the brand, all of the hand towels we supply are soft to the touch and absorb liquids easily. Whether you’re wiping up food and wine spills at the dinner table, or drying your hands in the office bathroom, our hand towel packs will come in handy. For hand towels of various sizes and purposes, contact our friendly team today.